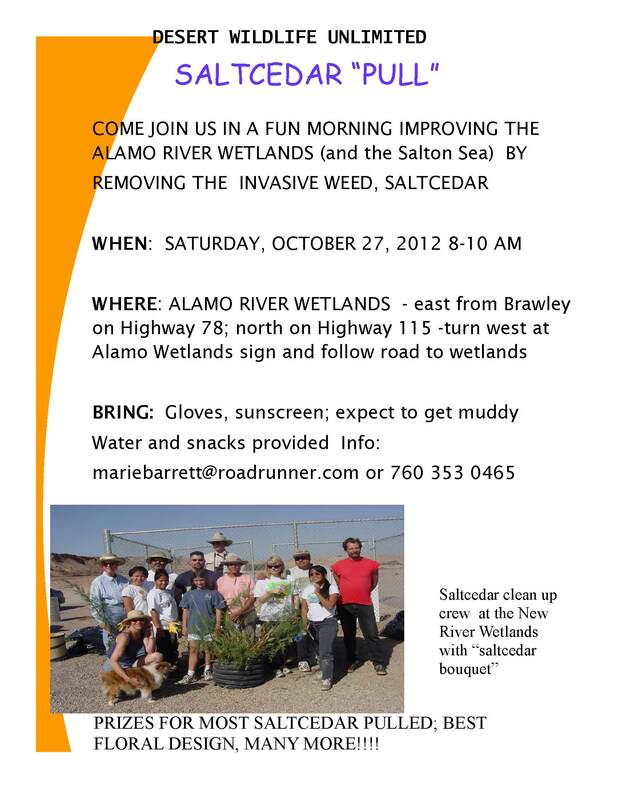 Desert Wildlife Unlimited is scheduling a morning to remove the non-native invasive weed saltcedar (Tamarix) from the Alamo River Wetlands and would like to invite everyone to participate! The event is scheduled for Saturday, October 27, 2012 from 8am to 10am. You can expect to get muddy which makes it a great event for kids, students and ……young at heart!! I am in the young at heart catagory myself and will be there for the fun too!! Click on the picture below to see the event flier OR click this link to open a printable 8.5×11 PDF. 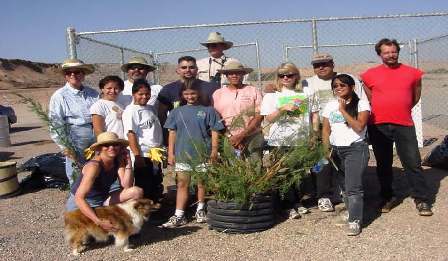 A few of the saltcedar pullers of a few years ago at the New River Wetlands Imperial site west of Forrester Road. The Google Map below is interactive so you click inside it to move around or on the link below it to open Google Maps.